“The Wind”, a subjugation of isolation set in 1889, diminishes modern relationship woes, as the dread of loneliness builds to a crescendo of desperation. The sell was hard from the jump. A folk duo performed, with banjo and guitar, as a line of roughly thirty early birds waited for the theater to permit entrance. A Reverend paced up and down with his bible, reading from the Book of Revelation, repeating “Suppress your Demons.”. 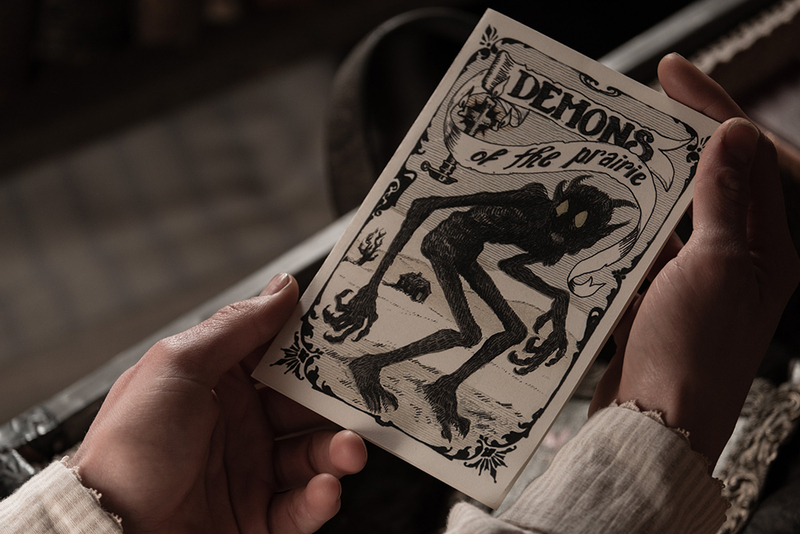 A plainsman swung his thurible as he passed out Demon handbooks which we would later see in the film. They didn’t break character until his thurible mistakenly fell apart, but he recovered quickly with screams of “The Demons!”. Helmed by Emma Tammi in her Directorial debut, the film is being presented by IFC Midnight at the IFC Center in Greenwich Village, Manhattan as part of What the Fest, an annual genre festival. As we entered the theater, ushers offered communion wafer (Pizzelles), to all who shall ingest the body of Christ. Some patrons laughed reflexively and kept walking, others laughed but accepted. All the while, with lanterns anchoring the stage, the Reverend gave a Sermon to a crowd that was hardly listening as they settled. Once the commotion had died down, the audience joined in the sermon, repeating the words of the Priest like the good sheep they are. The Creative Director for What the Fest, Maria Reinup, introduced Director Emma Tammi for a quick word before the movie began. 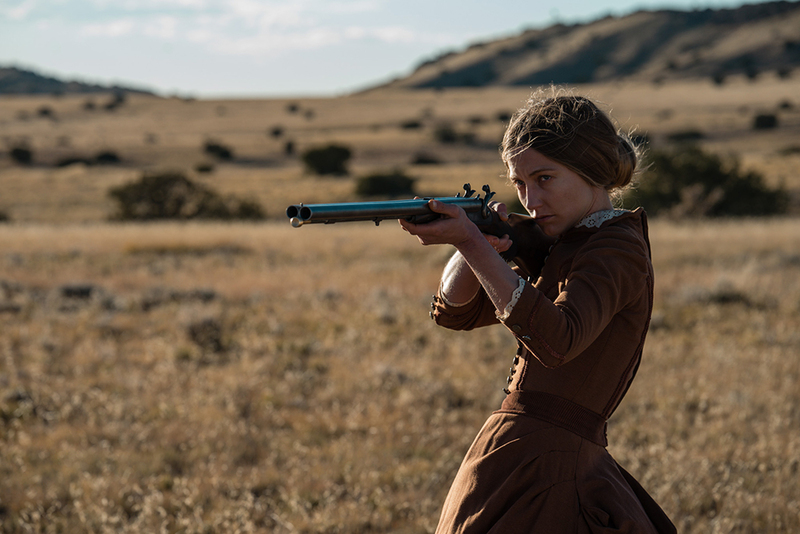 She expressed how captivated she was with the script written by Teresa Sutherland (her first feature as well), and what stuck in her mind was the incessant howling of the wind through the plains. It’s established early that we’re not working with a linear timeline. If I’m honest, it’s frustrating at first. It seems a pretentious choice to be artsy; I was very wrong. We are shown the demise of certain characters, and then they’re brought back to life, thanks to the multiple timelines. A specific line by one of the characters, “I feel like I’ll never get clean again,” resonates with me. I notate it, and it doesn’t leave me throughout the duration of the film. The pace is slow, the dialog few and far between. The drawl of isolation is built for a solid and grueling forty-five minutes before a jump scare forces the audience into a nervous laughter. As cheesy as a jump scare can come across, the method deployed here is deliberate and unsettling. It has become clear to me that the rotating timeline is intentionally developing a level of uncertainty. Locations begin to become indiscernible. Characters traits blur into each other. The Husband. Where is the Husband? I don’t understand why he has been inexplicably absent. The disorienting timeline clouds my understanding of when he’s been there. In a wave of realization, it all makes sense to me. It may not be intentional. If it is, it’s hidden deep within the bowels of the writer’s mind. The story is an allegory for postpartum psychosis. A representation of how a couple deals with the trauma of having a stillborn child. The helplessness of the Husband’s position leads him to egregiously abandon his Wife. There are times I question whether all the characters we’ve seen have existed at all outside the Wife’s mind. Every time she looks in the mirror, the shot blurs, supporting my theory. What is real? Some press has compared this film to Robert Eggers’ The Witch. It’s a lazy comparison. The only similarity these two films hold is they are both period pieces. 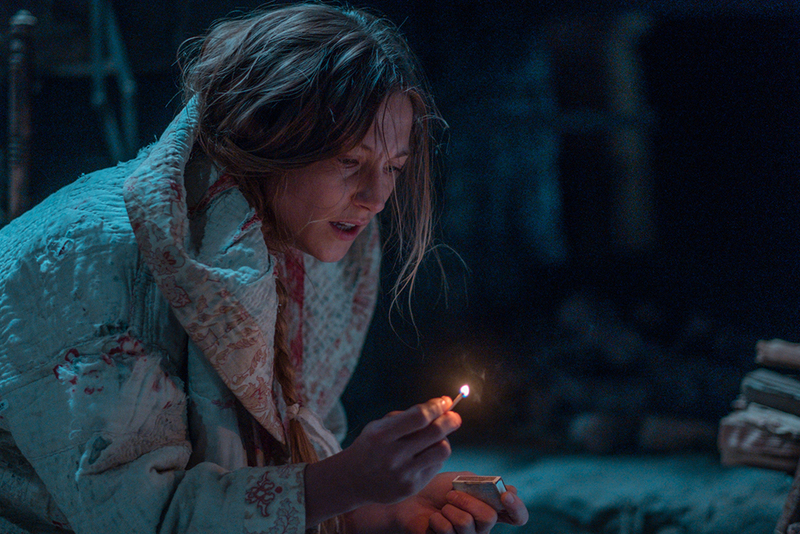 Whereas The Witch was an unparalleled accomplishment of meticulous and painstaking research resulting in a creative display of hysteria with more effort in “getting it right”, this film, The Wind, is an accomplishment in method. No effort is made at accents, and that is not a knock. 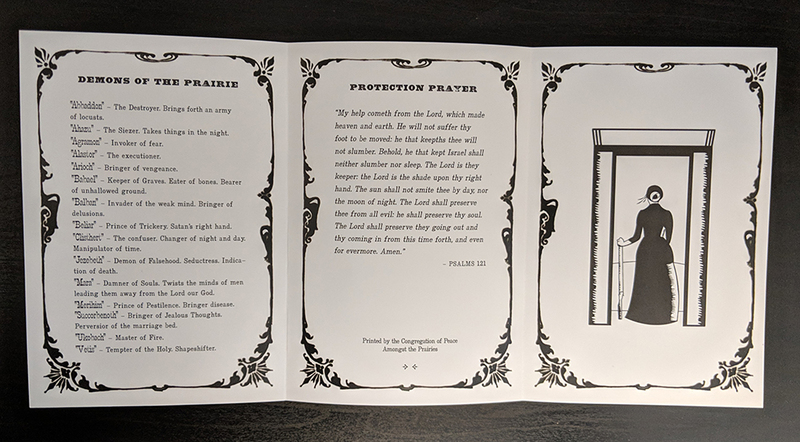 The plains are used to remove the veil of gimmicks and let the raw and naked emotion impact your psyche. The breaks in dialog, the uncertainty, the acting, all benefit the journey. Much attention must be paid to the performance of Caitlin Gerard (Insidious: Last Key), who played Lizzy, the Wife. By the end of the film, all I could think was how arduous her work must have been. She’s brilliant. During the Q&A with Director Emma Tammi, actor Ashley Zukerman (who plays Isaac, the Husband), and composer Ben Lovett (who delivered an amazing and truly complimentary, if not heightening score) answered questions. 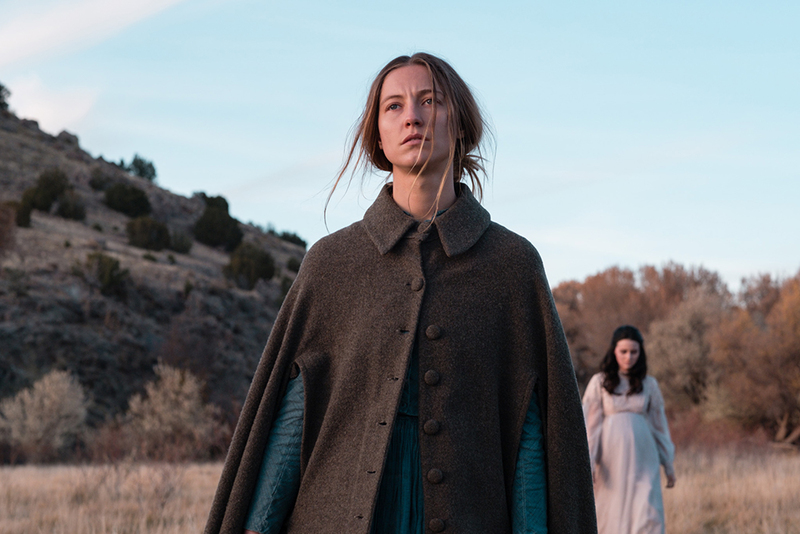 Emma mentioned an early conversation with Ash that was inspirational, as Ash recognized that most Westerns follow the Man into town, whereas this film stays behind with the Woman, in her loneliness, depression, and psychosis. Perhaps this journey won’t be for everyone. Maybe you need your Michael Bay explosions, and your gallons of blood. But for some, you cannot help but appreciate the psychological experience that Tammi and crew bring you on. Promising “new” talent who deliver right out of the starting gate. Well done. 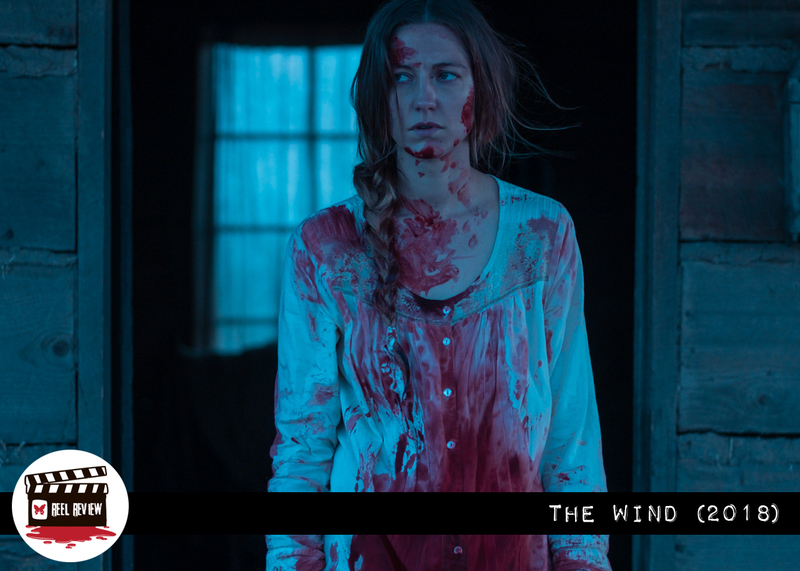 THE WIND had its World Premiere at the Toronto International Film Festival, and went on to play top-tier festivals, Fantastic Fest, Beyond Fest, Sitges, and Rotterdam among others. It will open in theaters on April 5th.